Actress who was nominated for an Academy Award for her portrayal of Carla Rodrigo in the 1993 film, Fearless. Her role in The Take brought her additional acclaim. In 2019, she was cast in the Suicide Squad spin-off titled Birds of Prey. 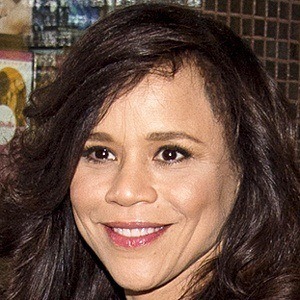 She attended Los Angeles City College. In 1989, she debuted in Spike Lee's Do the Right Thing. She won an Oscar in 1993 for her role in the film Fearless. She was married to Seth Zvi Rosenfeld from 1999 to 2001 and in 2013, she married Eric Haze. She worked as a choreographer for Janet Jackson.